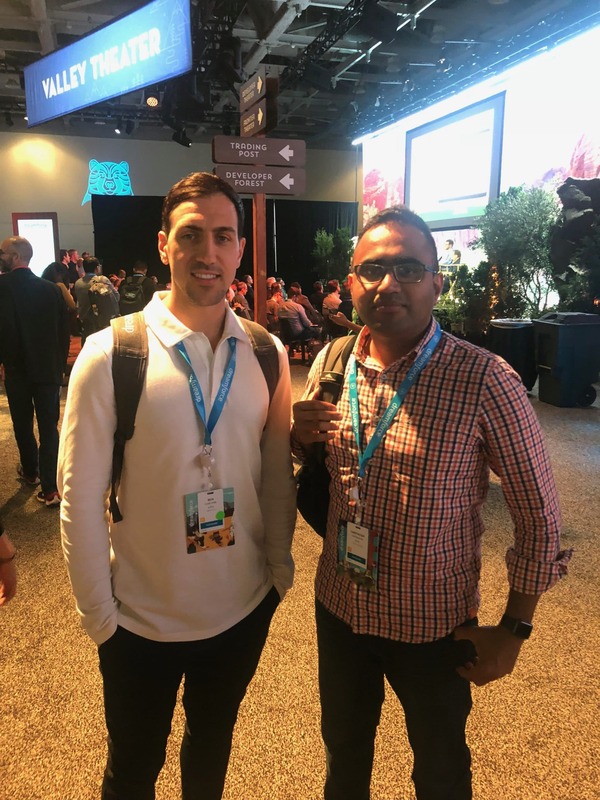 The Talent Hub team had such an incredible week in San Francisco for Dreamforce 2018 and we enjoyed sharing the experience with our Dreamhire winner, Santhosh Lakshmanan. 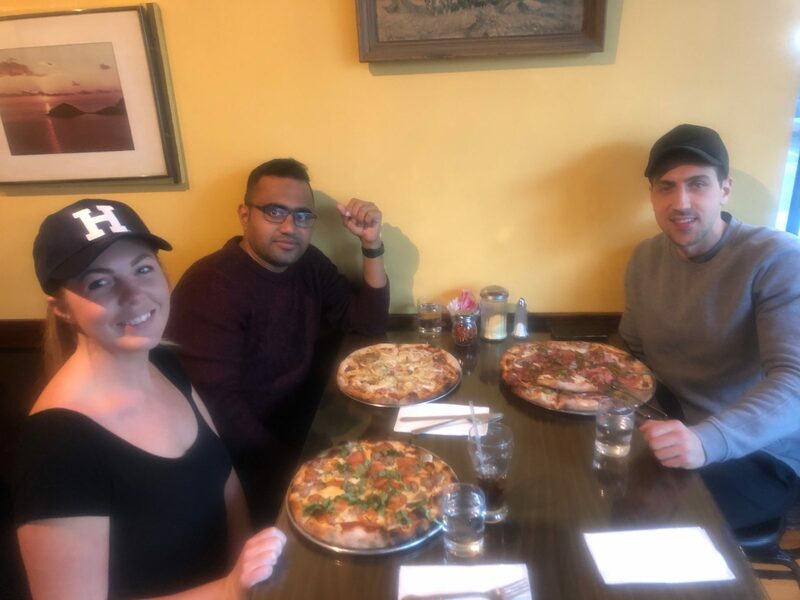 He was lucky enough to win flights, accommodation and a Dreamforce ticket when his name was drawn at random from all of the Talent Hub placed candidates through the year who were entered in the draw. 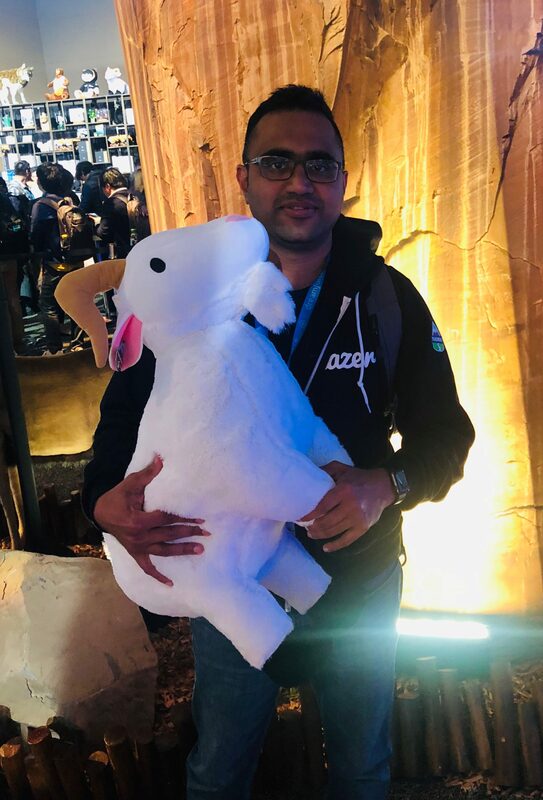 After 7 years in the Salesforce ecosystem and this being his very first time attending Dreamforce, this prize meant a lot to Santhosh. We were interested in what he thought of the experience, and what advice he would have for next year’s Dreamhire winner. 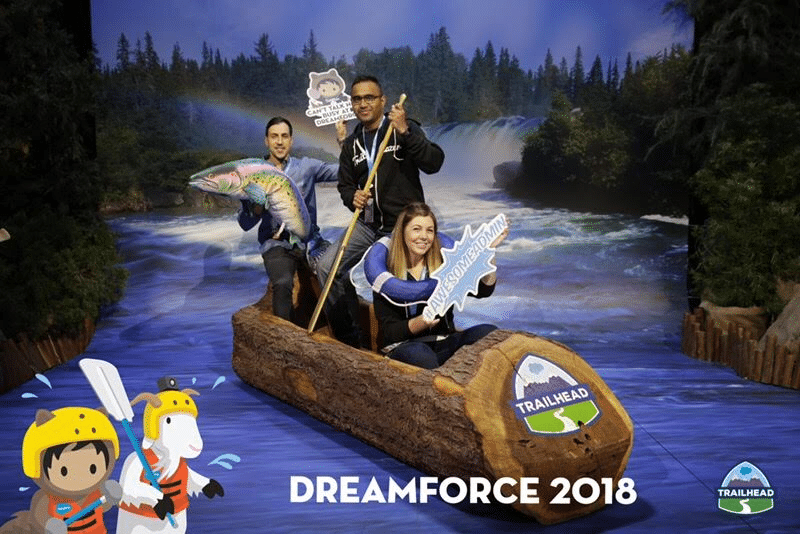 Santhosh, this was your first Dreamforce experience. What were the main takeaways that you came away with? There were a number of exciting takeaways that I came away with and learnt more about. 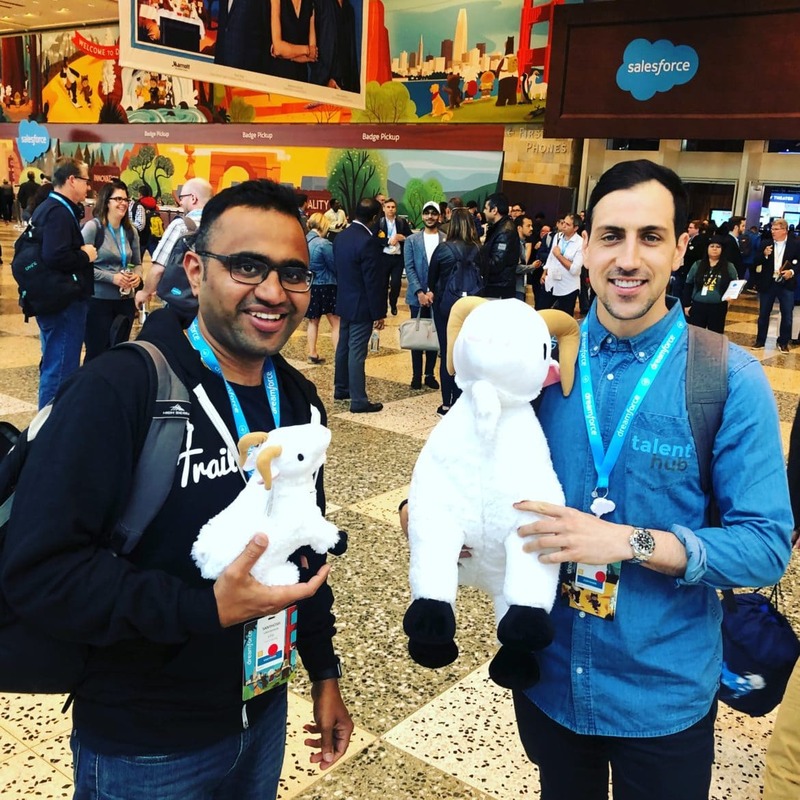 I went to Dreamforce with an open mind in terms of the conference itself, but I definitely had specific topics of interest that I was keen to understand further. My main takeaways were insights into the improvements that Salesforce have made with Einstein. I didn’t know too much about Einstein before attending Dreamforce, but from the knowledge I gained from the sessions there, Salesforce has really developed the platform. Salesforces’ relationship with Apple was a topic I was keen to understand further, and how apps can be loaded onto the AppStore. Again, I took a lot of insight away with me on this subject. Dreamforce was bigger than ever this year. Where did you spend most of your time? Yes, 2,700 sessions to choose from, and the conference itself was spread right across the city. There were sessions being held in exhibition halls, hotels, even in the cinema. You had to be quite targeted to make sure that you didn’t miss the most important sessions that you wanted to attend, because it could take a while to get from one to another, depending on where you were in the city for the previous time slot. Dreamforce is structured physically with themed venues, or zones, by and large, which is beneficial. I identified Moscone West as being the zone that I would find the most value for my personal interests, and so I spent a lot of time there, and used it as my base. You can filter the sessions in the Dreamforce app by role i.e Developer, to bring up the sessions most relevant to you and your particular interests. Campground – the centre of Dreamforce. Come here to meet experts, other customers, industry leaders and product marketers. Lodges – places for like-minded groups to gather, based on industry or product. These are the networking hubs. Stations – similar to lodges, but stations are smaller. These are ideal for more one-on-one, intimate networking experiences. What were the key sessions and learnings for you? There were so many! Over 2,700 sessions in total, but I focused on the Developer sessions. I really enjoyed one particular session that showed you how to manage technical debt, and how a Salesforce Architect thinks and approaches things. I also really enjoyed Crafting Flexible APIs in Apex Using Custom Metadata, which you can watch here, and Testing Lightning Flow Automations, which you can watch here. Tip: Did you know that if you missed anything, you can watch back all of the Developer @DF’18 sessions online? What has it meant to you personally to have been the 2018 Dreamhire? Having worked with Salesforce since 2011, its taken 7 years for the dream of attending Dreamforce to come true. 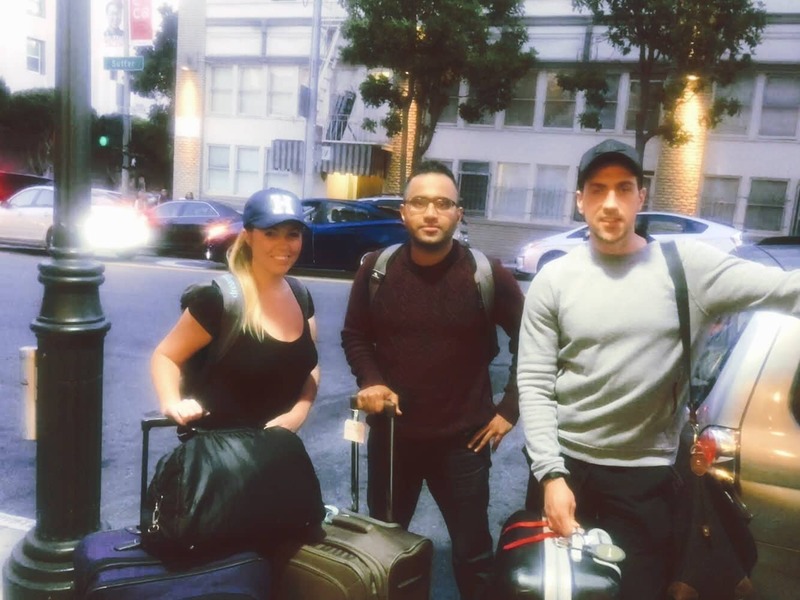 Thanks to Talent Hub, that long-held dream was realised, and the Dreamforce conference and San Francisco was everything that I had hoped for and more. I never expected to win the prize, but it was an incredible feeling to finally get there after so long. It was amazing that a recruitment company gave me that opportunity. After 7 years in the Salesforce ecosystem, how did Dreamforce compare to your expectations? I didn’t think it was going to be as big as it was. It’s sheer size, and the way that it takes over the city for that week, there are sessions in every venue you come across it seems. Even the number of people around San Francisco that you see wearing a Dreamforce backpack or a Dreamforce lanyard, it’s an energy that you feel. You have to be there to really experience it, and to get access to the sessions, and so it was brilliant to be given the chance. I got to meet people from all over the globe that I had heard about, and read, and enjoyed articles from over the years. Honestly, seeing all of those Salesforce community legends in one place, people who have been active in the community since I started in Salesforce, was incredible. For example, I was able to attend a session given by Dan Appleman, Build Awesome Configuration Pages with Lightning Components & Custom Metadata. He is a well-known person in the community and an author of books that I’ve read, specialising in Salesforce coding. You can watch his session here. We’ll be drawing another Dreamhire winner in 2019. Why should others be excited by the Dreamhire competition? You really have to go to Dreamforce to see how good it is. It’s difficult to articulate in words. You will hear good things in the Salesforce ecosystem every year from people who have attended, and you’ll see it all over your social accounts, your LinkedIn, your Twitter account, but being there is so much more, it’s an experience unlike any other. If you do have the opportunity to be entered into the Talent Hub draw to become the #Dreamhire, then go for it! Make the most of such a fantastic prize, because you could realistically win. I did, and I never expected to! It’s a high-value prize of course, not just your Dreamforce ticket, but also your flights to San Francisco and your accommodation in San Francisco. However, the opportunity to go to Dreamforce is invaluable in terms of what you’ll get out of going. While they are useful, seeing the videos is no substitute for being there. 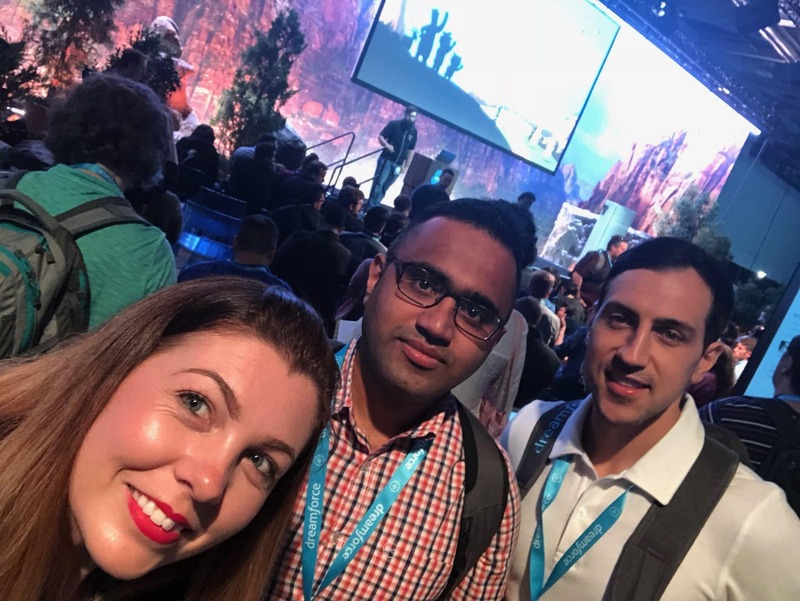 The networks and the face to face time are priceless, as at Dreamforce you have the opportunity to be able to ask questions and meet the experts in the moment. You’re able to connect with people that you wouldn’t ever have the opportunity to otherwise, and completely immerse yourself in that learning mindset. Talent Hub and I were all sad to leave San Fran..